Revati Chauhan was born in financially backward family. She was the second of four siblings. They had always faced problems financially owing to the meagre income which was not enough to meet the expenses of the six member family. They also found it difficult to bear the cost of education for the children. Her father died when she was young. It was a major setback for the family. Following his death they had to face a lot of hardship. 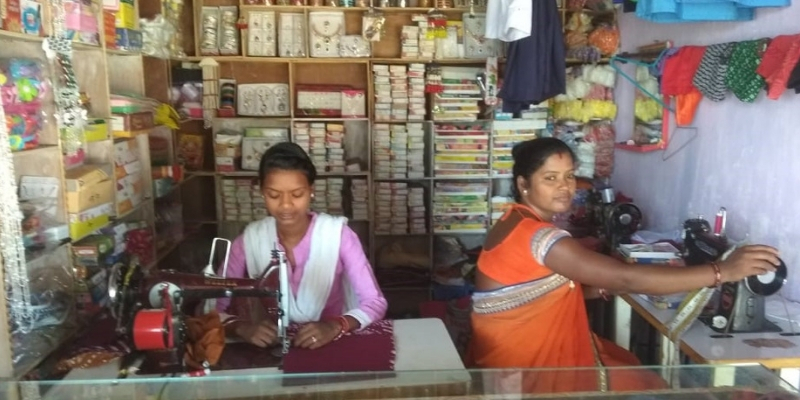 Revati took up tailoring work to support herself and the family. In 2010 she got married to Ramanand Chauhan of Shabdamunda village. Ramanand is a teacher by professions. After marriage Revati continued to do tailoring work. Additionally she took up a job in a cosmetics shop. Both she and her husband worked hard to make more and more money to improve the condition of the family. In 2013 she got involved with Bihan, a scheme taken up under the National Livelihood Mission by the Chhattisgarh government. Bihan enables rural women to take up various trades and provides them skill training and other support. Revati got associated with Rama Swa Sahayta Samuh, a Self Help Group in her village. 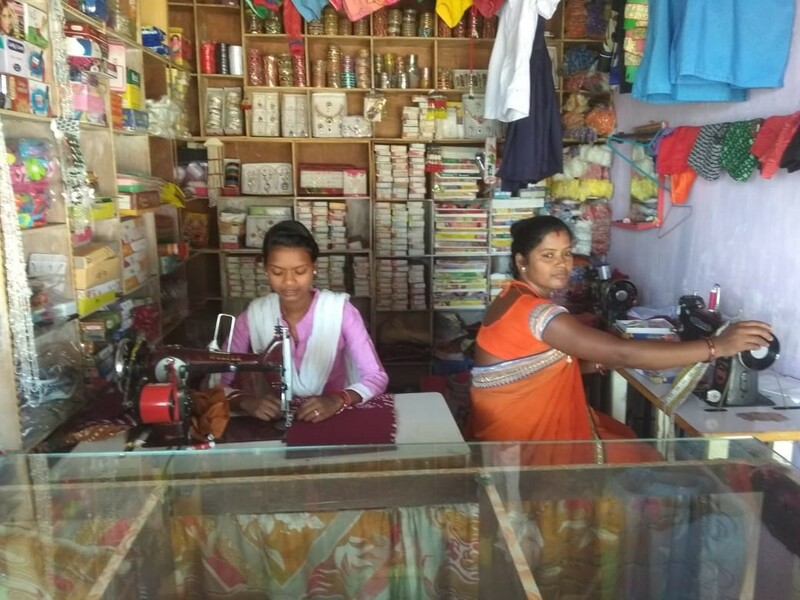 After getting associated with Bihan, her financial conditions improved further and in 2014 she started a tailoring shop of her own. Gradually she expanded her business by opening a cosmetics shop and a beauty parlour too. Today Revati is earning 8000-10,000 rupees per month. Sometimes her annual income increases more than 1 lakh rupees. She hope she will be able to increase it further. Revati also has a very strong sense of social responsibility. She provides training to underprivileged teenagers in tailoring as well as make-up. Revati has been continuously diversifying her income since she got associated with Bihan. Recently she set up a brick making facility through the Self Help Group. In the year 2017-18 she made more than 400,00 bricks. These bricks have been in demand in the nearby areas and she plans to increase production in future. Though Revati could not continue her studies after 10th, she wants to ensure that her daughter gets all the opportunities to pursue higher education. She feels only education can change the lives of the people. Today Revati is inspiring a lot of women who have similar backgrounds. She thinks Bihan came as a boon to her life. Without Bihan she would not not have been able to achieve what she has achieved today. Bihan not only helped her acquire more skills but it also gave her a lot of confidence. She encourages other women to get associated with Bihan to improve their financial and social conditions. 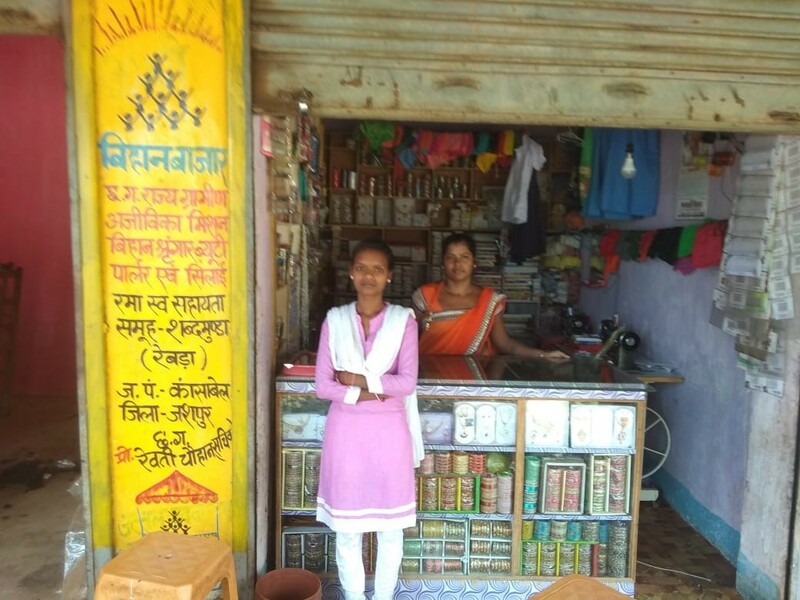 Revati is an example of how thousands of women from underprivileged backgrounds in Chhattisgarh are bringing positive changes to their lives with schemes like Bihan. It is not only the women associated with the Rama Swa Sahayta Samuh or Revati but hundreds of other Self Help Groups around the state that have women like Revati and her associates who have been changing their lives through Bihan.